Dhaka Bank Latest Job 2018. Dhaka Bank Limited Job Circular 2018 on 15 March 2018. Application Deadline 01 April 2018. 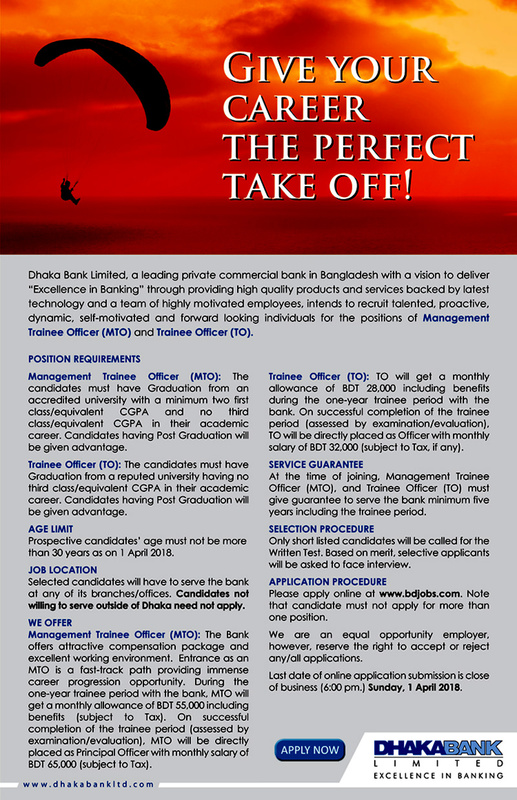 Dhaka Bank Limited will recruit vacancies of candidates for the position of Management Trainee Officer (MTO) & Trainee Officer (TO) for the year 2018. Download Admit Card of both MTO & TO is available below. 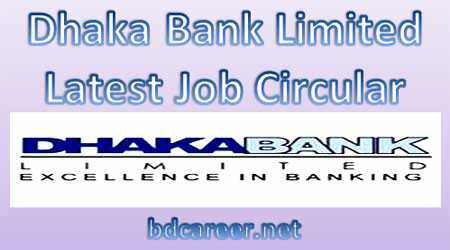 Dhaka Bank Latest Job 2018 found here. DBL New Job circular 2018 for the post of Management Trainee Officer (MTO), Trainee Officer (TO) published on 15 March 2018. Interested and eligible candidates are requested to Apply Online for the vacant positions. In this regard, interested and eligible selected candidates will have to serve the bank only with its any branches or branch offices. Candidates not willing to serve outside of Dhaka need not apply.